On Thursday, March 10th 2016 at approximately 2238hrs Sgt. Raymond Walter #367 and P.O. 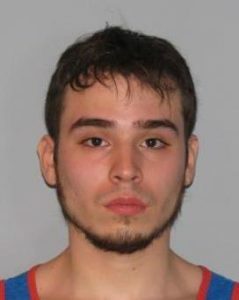 Michael Griffin #382 were traveling northbound on Hudson Terrace near Palisade Ave in Englewood Cliffs. During this time, their unmarked patrol car was passed by multiple motorcycles at a high rate of speed over double yellow lines and against traffic. 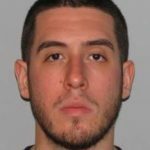 Once the officers and motorcycles reached the Stop Sign located at Hudson Terrace and Palisade Ave, the officers activated their emergency lights, exited their vehicle and identified themselves as police officers. All of the motorcycles quickly accellerated and fled the officers and one was detained. Assistance from Englewood Cliffs PD quickly arrived and remaining Parkway patrols began looking for the other motorcycles that fled the scene. A short time later P.O. John Gavakos #358 located the remaining four (4) motorcycles on Route 9W at Alpine Approach Road. He made an attempt to stop and was able to detain two (2) motorcycles as the remaining two (2) fled northbound. P.O. Martin Clancy #390 pursued the motorcycles until he discontinued as they entered the Orangetown NY area due to unsafe speeds. The two (2) subjects were placed into custody and transported to the NJ Headquarters for processing. The subject at the original location on Hudson Terrace was issued motor vechicle summonses and released. The remaining subjects are still outstanding and being sought by the Detective Bureau.